2018 is flying by. It’s already mid-September, which means the general election is less than two months away. As weeks go, this was a relatively quiet week for Alaska politics. But even in a quiet week there is still plenty to write about. The Anchorage Chamber of Commerce held a gubernatorial forum on Monday (9/10/2018) at the Dena’ina Center. It was a packed event with a lot of elected officials and politicos in attendance. All four candidates were in attendance. Yes, it is a four-way race not a three-way as most of have been saying. Billy Toien is running as a Libertarian. The forum itself was uneventful and not very exciting. Toien was by far the most entertaining part of the forum. He closed by saying, “People say if they vote for me they are throwing their vote away. If everyone threw their vote away for me, I would win!” Hard to argue with that logic. An interesting observation was that Mike Dunleavy left the event with Kristie Babcock instead of Brett Huber, his campaign manager. Huber was not at the event. This is the first time I have seen Mike at an event without Huber. Rumor is that Babcock is now running the campaign. If anyone at the campaign wants to let me know what’s going on, give me a call! The Anchorage Downtown Partnership, Downtown Community Council, and South Addition Community Council held a forum for candidates for governor and lieutenant governor on Thursday (9/13/2018) evening at the PAC. It was a very progressive crowd. Mike Dunleavy and Kevin Meyer skipped it. It wasn’t that great of an event. It lasted almost three hours. All the questions came from the audience and there was not a great deal of organization. There was one question about LGBT rights asked to the candidates for governor. I would have really loved to hear Dunleavy’s answer on that one. I’m sure a few of folks in attendance would have been triggered, regardless of his answer. Multiple news outlets reported that Charlie Chang passed away this week. Chang was the California man that Representative Gabrielle LeDoux (R – Anchorage) hired to get out the vote for her primary race. She had worked with him in the past. He was Hmomg and helped her get out the vote with the Hmong community in East Anchorage. The passing is unfortunate and the timing is, well, not great. The Division of Elections noticed voter irregularities with some absentee ballots in the District 15 Republican primary. They also discovered that seven dead people requested ballots, but were not sent ballots. The issues all appeared to be from Hmong residents of the district. According to Hmong culture the soul passes from the body to the ether but is still eligible to vote. We gather here to eulogize Mr. Chang and express our sadness for his unfortunate passing. We also memorialize the investigation into my campaign. 50/50 he votes in the general. Sara Vance won the Republican primary in District 31. She will face Representative Paul Seaton (R – Homer) in the general. Seaton switched his registration and ran in the Democratic primary as an independent. I don’t know much about Vance but she seems to have some real Loose Units helping and advising her. Nona Safra, District 31 Republican Party Chair, has gone rogue and set a bunch of conditions on when and where Vance would debate Seaton. One of her demands, sent to the Home Chamber of Commerce, is that it can’t be at a place that serves alcohol. Note to self – never party with Nona Safra. She also demanded that the time, date, moderator, and location must be approved by her. Sounds like a real winning strategy! There was a joint meeting of the Senate and House Resources Committees this week. 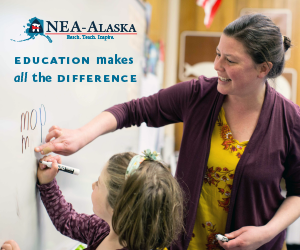 Senator Cathy Giessel (R – Anchorage) made a bizarre statement while Jacquelyn Overbeck, the Coastal Hazards Program Manager, was testifying about rising sea levels. Giessel asked her if she was aware that if ice in a glass melts then the level of the water does not go up? She then told Overbeck to Google it. It got a bit uncomfortable. Is Giessel not aware that a lot of the melting ice is not in the ocean, it’s well above it? You can see the entire interaction here. It starts at 2:46:46. Jon “Bowzer” Bauman from Sha na na was in town this weekend. He was the at the Bartlett Club’s annual awards dinner on Saturday (9/15/2018) night. He said he has come to Alaska every summer since 1997 and that he tells people Alaska is the most beautiful state. Nice! There were a lot of well known Democrats and politicos in attendance. 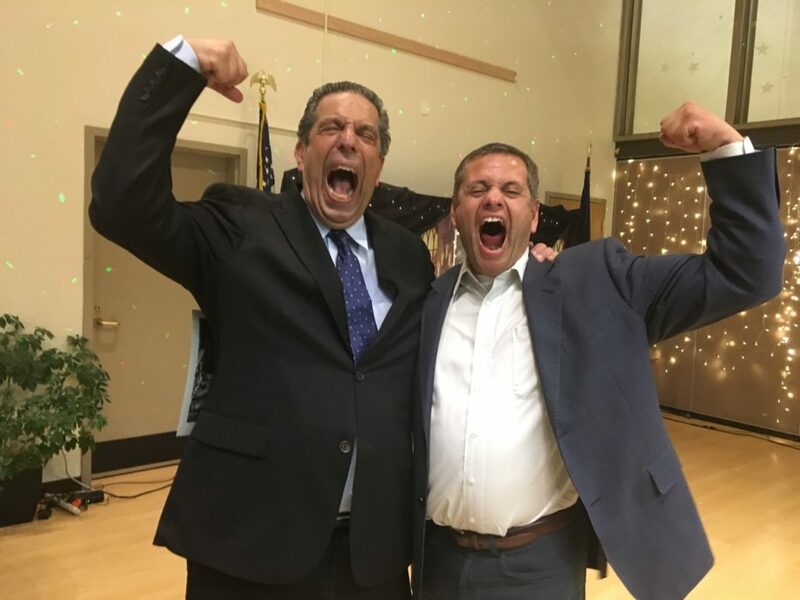 Representative Chris Tuck (D – Anchorage) was REALLY excited to be there! Senator Dan Sullivan (R – Alaska) also had a good weekend. He was promoted to the rank of bird colonel in the Marine Corps. Sullivan served active duty in the Marine Corps from 1993-1997 and has been in the Reserve since. The promotion was held at at a private ceremony with family and friends. 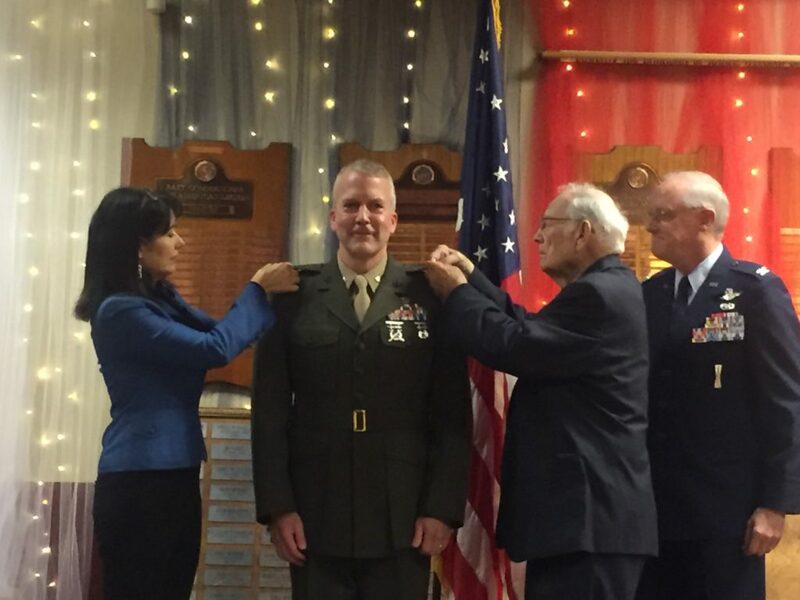 Here you can see his wife, Julie Fate Sullivan, and his father-in-law, former Representative Bud Fate, pinning the new rank on him. Talk about a legit Senator. Congrats, Senator Sullivan! Strait was ranting (his word) about Juneau polyester wearing environmentalists. He was triggered by a protest in front of a large bronze whale. He called environmentalism “a religion” and described the “Juneau look” of facial hair on men AND women. Keep providing us with the great content, Steve! Mark Begich donated $25 to the PAC supporting him, Begich for Alaska. The $25 was returned to him not long after. Weird. That group shows quite a few small donations in addition to the large donations they have received, totaling over $18,000. I don’t think that’s how PACs are supposed to work lol. This week we have a next level Loose Unit. Remember the guy who told kids in North Pole that Santa Claus doesn’t exist? He’s now in Anchorage, and looser than ever. This week’s Loose Unit is David Grisham. Grisham is an ultra wacko “pastor” who protests and trolls around Alaska. 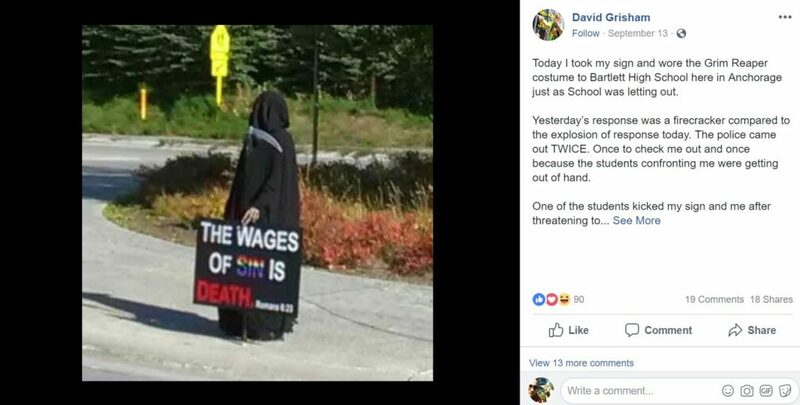 This week the Loose Unit dressed as the grim reaper and held a sign that says “The wages of sin is death” outside of Bartlett High School. Check this out. 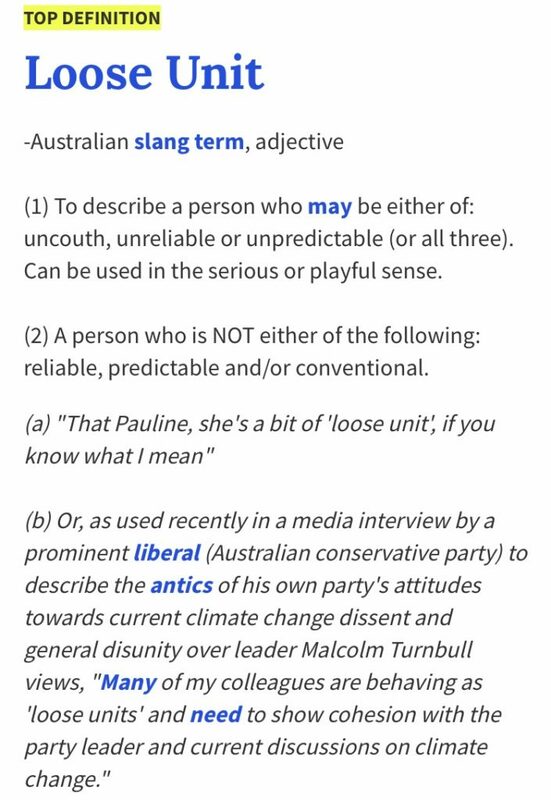 Talk about loose! Then he posted a video of an Anchorage Policeman coming to talk to him. It is about as loose as it gets. He’s real happy to be scaring the kids and protesting the evils of homosexuality. There’s loose, and then there is David Grisham loose. The cop tells him if he was not in his uniform they would be having a different conversation. Then he starts arguing with high school girls who come up to him. This fucker is as loose as it gets. David, look forward to seeing me the next time you do one of these idiotic and hateful stunts. I will be the guy in the speedo with my own sign about how I feel about you. David Grisham is correct biblically about his sign. Also I thought he was correct on how animals have more rights than unborn children. Either you believe in God’s word in the King James Version or you don’t. Oh that too harsh for most these day. I don’t know of him, but I’ll read up. This is just my view of this short post. Gregg, God isn’t on your side if you talk that way. Bowzer was here?!? How is this not front page news? Seriously ? A loose unit ? He got your attention. He might be theatrical but his point is made. The fact the police said he was scaring the children is HYSTERICAL. High school kids? Im glad i dont live in alaska.